Dmitry Medvedev has been reelected as chairman of parliamentary majority party United Russia. Other senior leaders of the party also retained their posts and State Duma Speaker Vyacheslav Volodin joined its Supreme Council. Boris Gryzlov was reelected as head of United Russia’s Supreme Council and Sergey Neverov remains as chairman of its General Council. Former State Duma Speaker Sergey Naryshkin, who currently heads Russia’s Foreign Intelligence Service (SVR), remains in the Supreme Council. 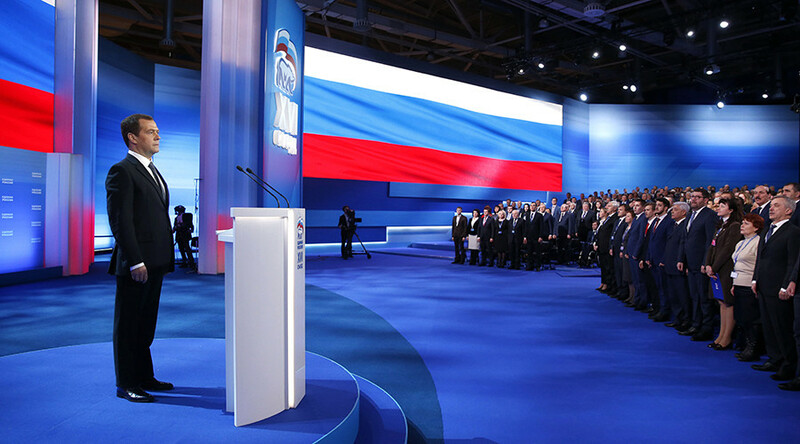 In his speech before the party congress, Medvedev called United Russia “the president’s main political resource” and emphasized the importance developing the party’s regional branches. To facilitate this, he proposed increasing the representation of regional groups in the General Council from the current 20 percent up to 30 percent. He also announced plans to increase the number of United Russia grassroots-level organizations to make it the same as the total number of Russia’s electoral constituencies. “This would allow us to send monitors to every ballot station and, through this, to make the polls cleaner,” Medvedev said. 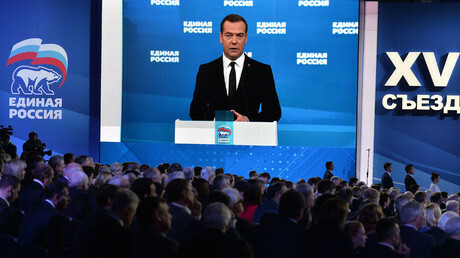 Medvedev urged the participants of the congress to speed up the creation of the entrepreneur platform in the party, as an addition to the existing patriotic, liberal and social platforms. “Our party unites people with different viewpoints, representatives from all regions of our country. But we have one common goal – to make our nation successful. That means that all decisions are made on the basis of the once elaborated and consolidated position. I think that the work of political platforms must be continued,” he said. The Russian PM also noted that the current situation – in which the government relies on United Russia’s support in parliament – had proved to be effective. In particular, this helped to draft and pass the federal budget for 2017-2019. Medvedev told congress participants that the test of party primaries conducted before the parliamentary elections of 2016 had been widely acknowledged as a success. He then suggested allowing any citizen, including non-members of the party, to participate in United Russia primaries in the run-up to all regional polls for the next five years. The congress backed the proposal. United Russia made major changes to its elections program before the State Duma polls of 2016, shifting from social-oriented policies used during the recent economic boom to pro-business steps and measures that would help to maintain social peace in times of economic crisis. The plan led the party to an unprecedented victory – United Russia received 343 seats in the 450-seat lower house, with its closest competitors, the Communist Party, winning just 42.